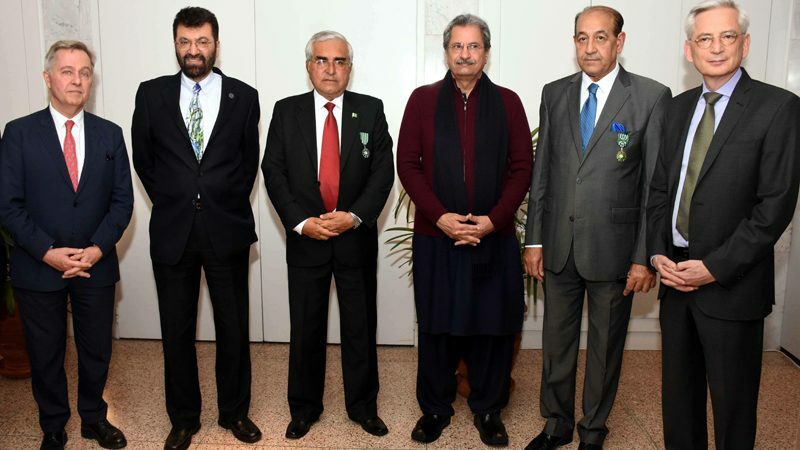 ISLAMABAD, FEB 07 (DNA) – The French government has conferred medal of Order of Arts and Letters on Prof. Dr. Muhammad Ashraf Khan Former Director Taxila Institute of Asian Civilizations, Quaid-i-Azam University And Dr. Fazal Dad Kakar Former Director General Department of Archaeology and”. He reminded the importance of the French cooperation in the field of archeology, in particular with the discovery or Mehrgarh site by Jean-François Jarrige in 1974 and the continuation. He signaled the 60th anniversary of the Archeological Mission of Indus Valley that will take place on 28th February on the site of Mohenjo Daro and thanked the authorities of the Sindh Province for their continuous support. The Ambassador reminded the audience of the importance of the Gandhara civilisation and the extraordinary heritage present today with all the Buddhist temples. 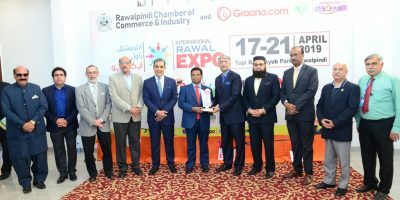 He also congratulated the Government of Pakistan for its initiative to organise a full mapping of the country and enhance the importance of its colonial heritage but also religious.